Google's relaxed stance on app screening on its Marketplace has been known to let a quite few malicious apps slip under the radar. Whether security concerns surrounding its Android platform are accurate or exaggerated, the company is taking them seriously enough to launch a new security feature aimed at tackling the problem. Dubbed Bouncer, the new service scans all app store submissions as well as those already on the market for known security threats, and looks for behaviors that match apps that have been previously rejected. Bouncer can recognize malware, trojans, spyware, and a range of other malicious behaviors. Some apps are immediately denied entrance to the Android Market, while others are flagged for human review. According to Google, whenever their security mechanism detects a new type of threat, it rescans everything on their catalog to see if it's present elsewhere. In addition, Bouncer will keep tabs on developers who have submitted unsafe apps and kicks out repeat offenders so they won't introduce more apps into the Market. 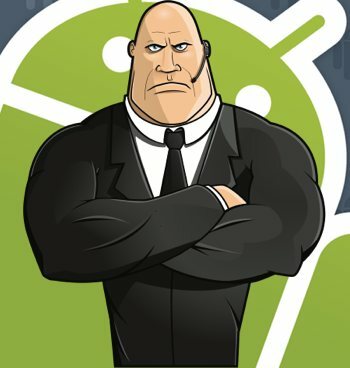 Apparently Bouncer has been on duty for a few months already and Google claims it has seen a 40% decrease in the number of potentially-malicious downloads from Android Market as a result. "Our systems are getting better at detecting and eliminating malware every day, and we continue to invite the community to work with us to keep Android safe," said Hiroshi Lockheimer, VP of Engineering for Android, while announcing the feature.